Poipu Kauai's Spouting Horn. 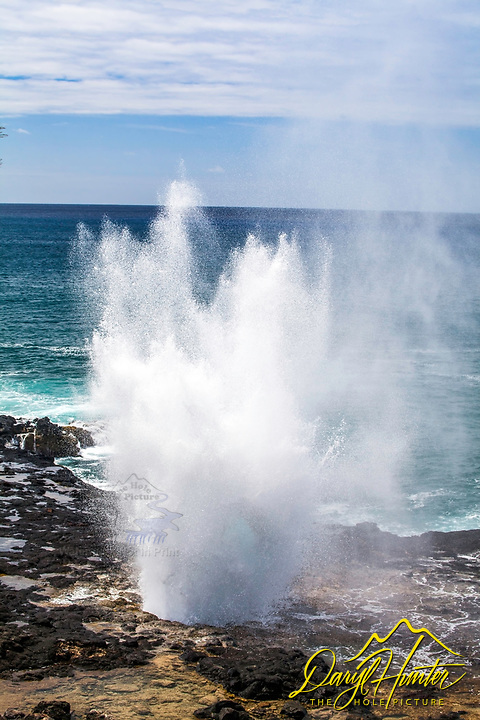 On Kauai’s South Shore you’ll find the spectacular Spouting Horn blowhole, one of the most photographed spots on Kauai. The Poipu surf channels into a natural lava tube here and releases a huge spout of water during large swells. You’ll also hear a hiss and a roar that is the basis of a Hawaiian legend.